However, our team were, of course, more than equipped for the challenge. 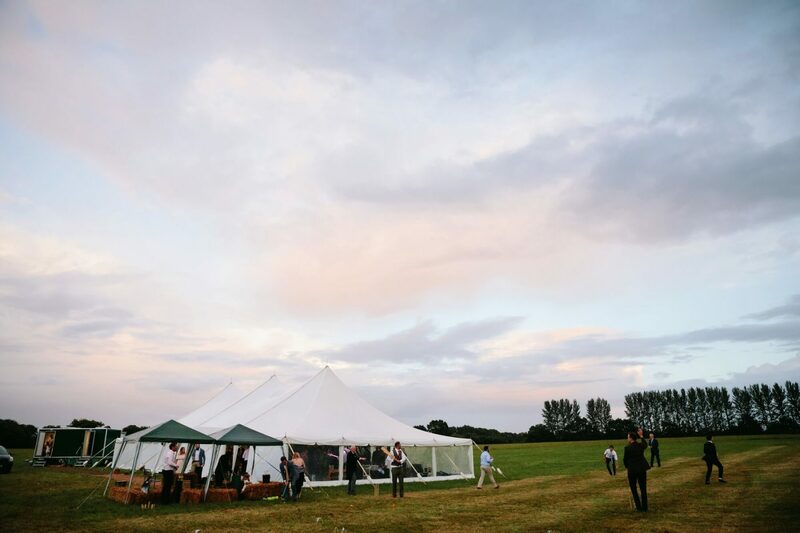 For starters we suggested the stunning Baytex Marquee which comes with beautiful ivory silkline lining (perfect for an elegant, bridal look) and wrapped poles to add charm and glamour to the occasion. 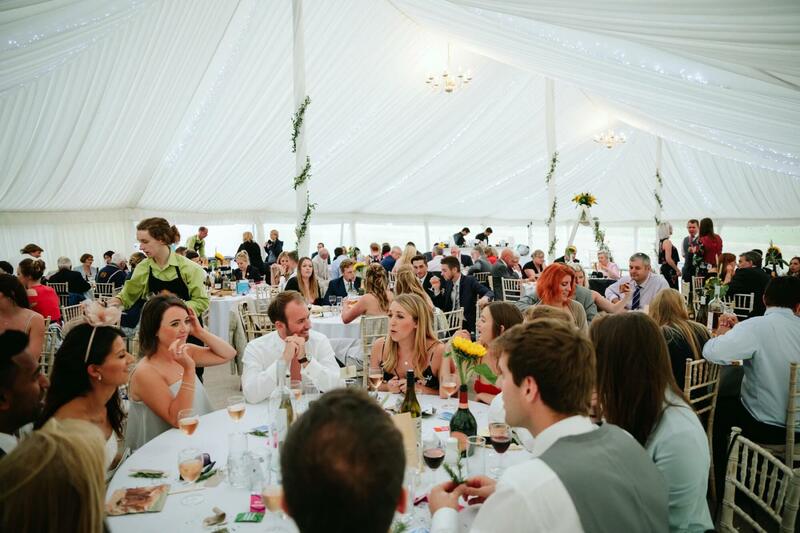 At Carron Marquees we are used to working in locations with very little resources to hand so it wasn’t difficult for us to set up an ideal and charming wedding venue at Oak Tree Farm, using all of our own equipment and facilities. 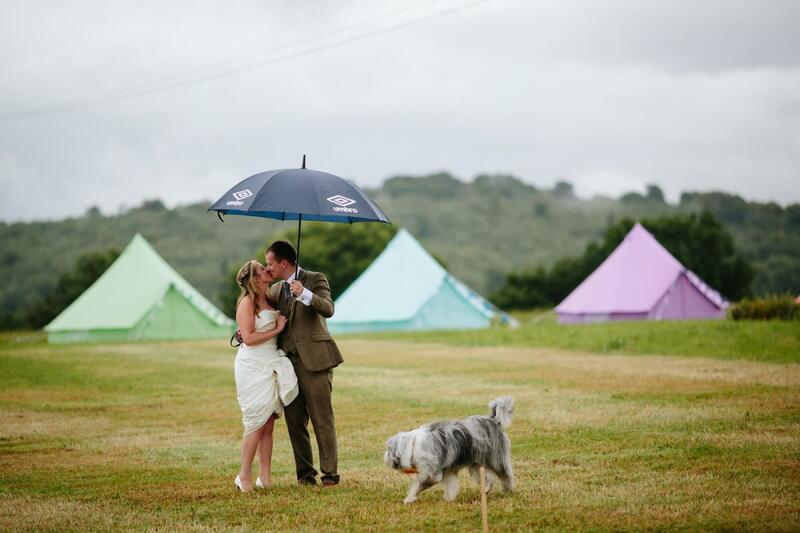 This meant that, as well as providing the marquee, we also set up a catering tent to allow easy access to food and, the same time, keep it separate from the wedding marquee in order to avoid spillages and mess. 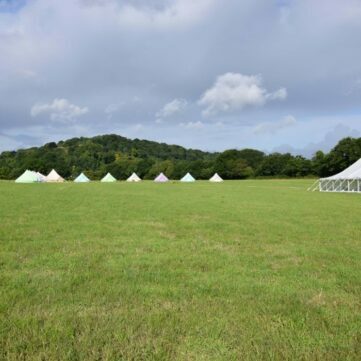 This was in addition to a number of ancillary items such as portable toilets and the generator for lighting and heating – both of which we also supplied – along with furniture and fire pits (the latter were particularly popular and a terrific way of adding atmosphere and cosiness to the Chill Out area). 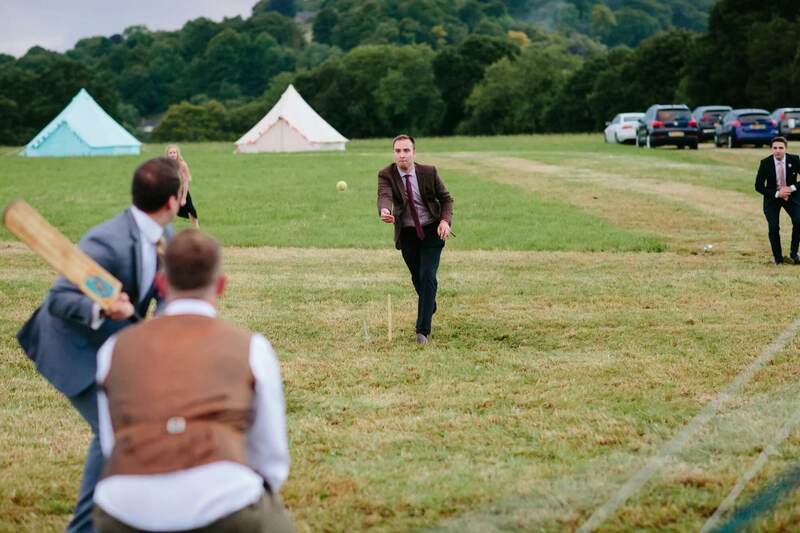 There was even enough room for guests to have a game of cricket or kick about at a football as the afternoon and evening wore on. 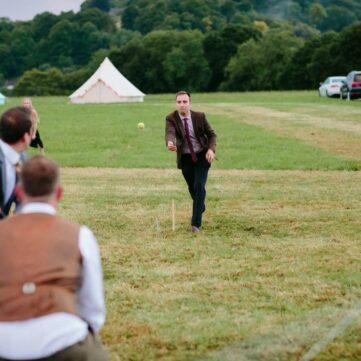 The ability to ‘chill out’ and engage in physical activities was important to the Bride and Groom because they were also providing accommodation for guests – which meant they would be staying in the field overnight. 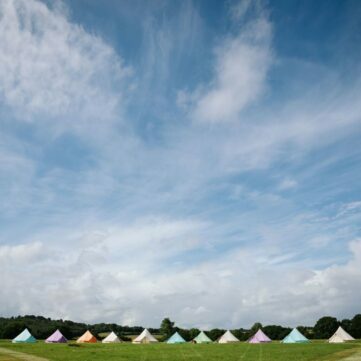 The overnight accommodation was provided by the company Baylily Bell tents (who, in addition to providing the tents, also took the guest bookings so that the bride and groom could concentrate on other matters for the Big Day). 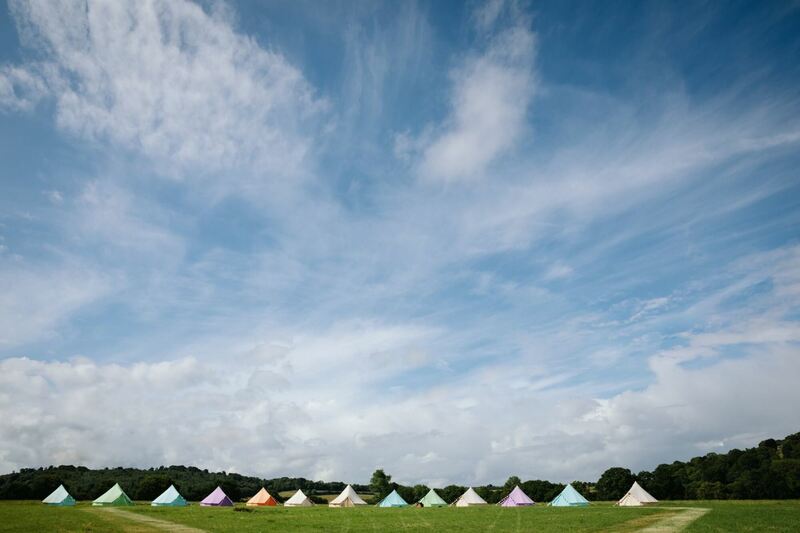 The couple were over the moon with their inexpensive yet romantic and charming wedding venue. 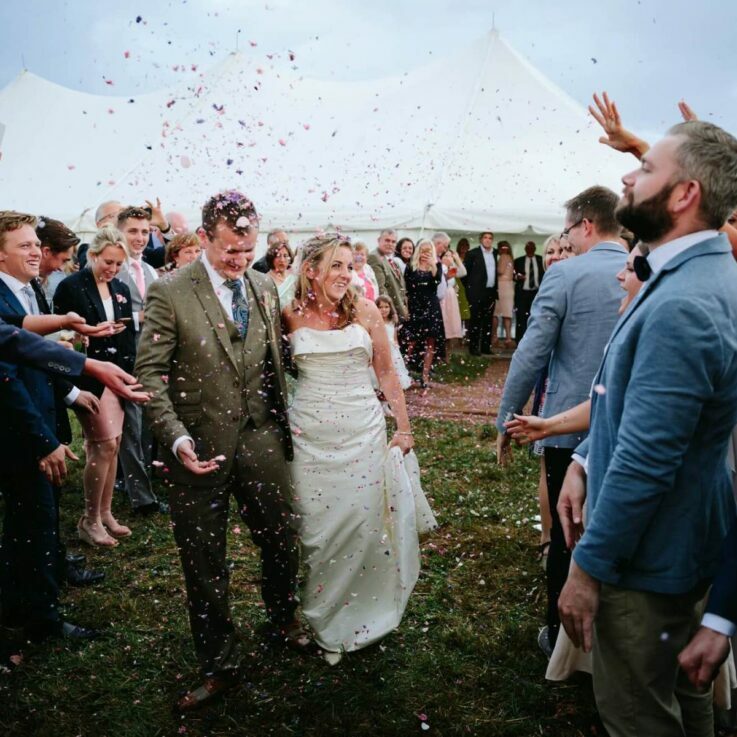 The reason they opted to host their wedding in the field initially was because they wanted a lovely wedding, but not at the cost of spending all their savings on the event. 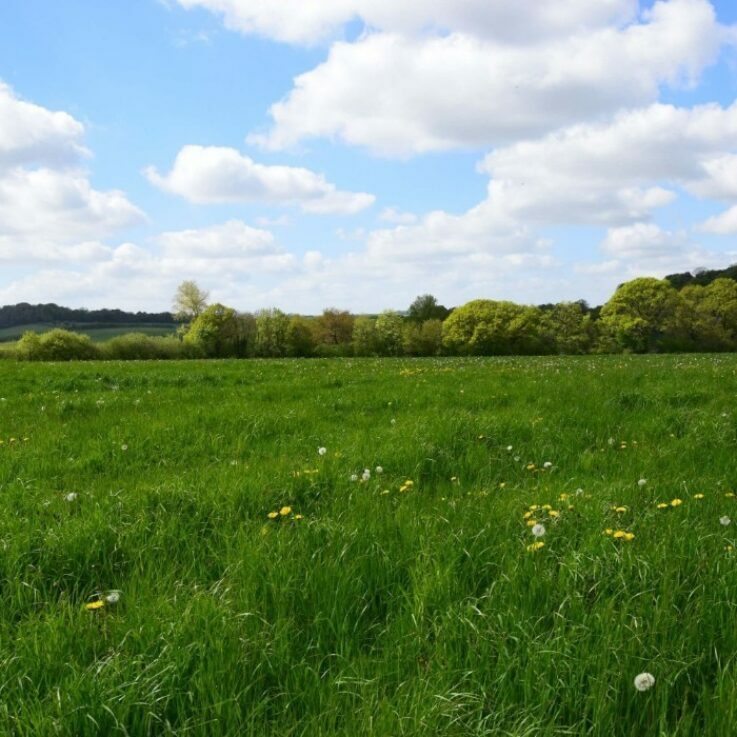 This is why the farmer stepped in and offered the use of his field. 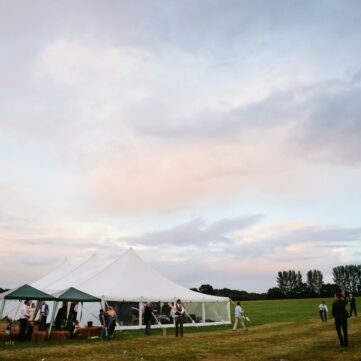 We were chosen to provide everything the venue required because the farmer was a previous client of ours when he had elected to host a birthday party there. 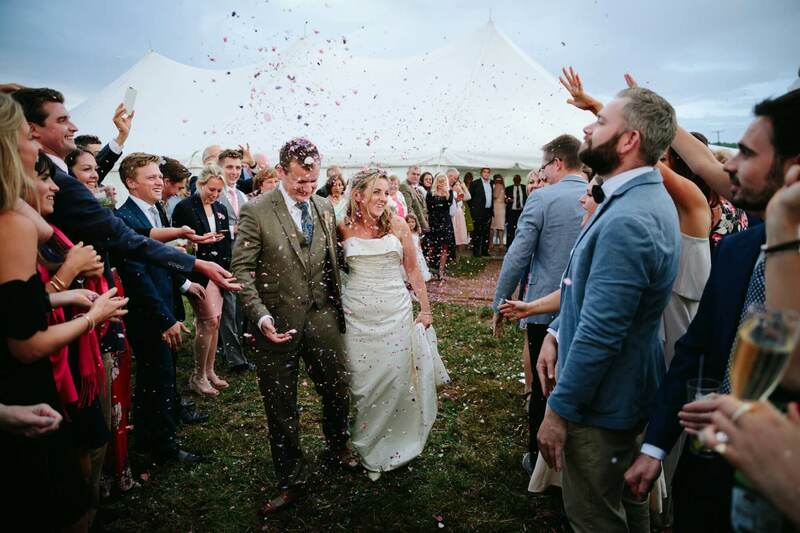 The occasion worked so well that here at Carron Marquees we are now delighted to be able to offer the Oak Tree Farm venue near the idyllic village of Selborne, on the northern boundary of the South Down’s National Park, as an exclusive casual wedding, party or festival venue. 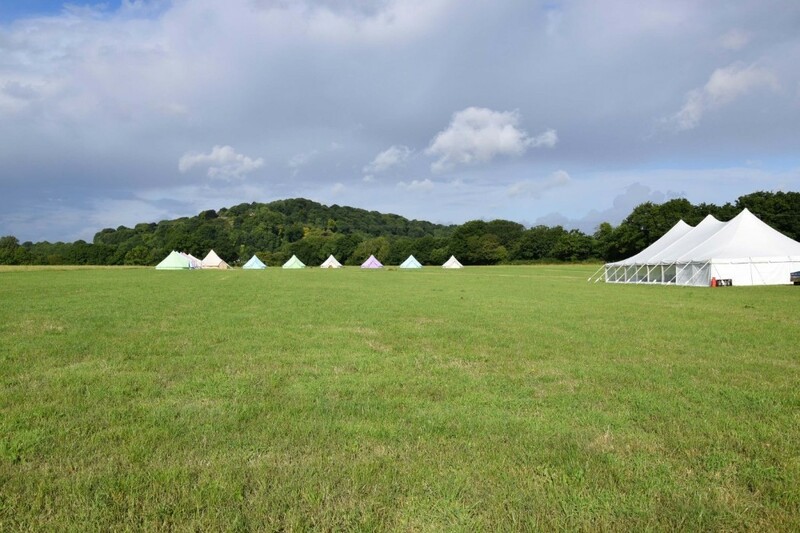 As well as ample space for your event – along with all the facilities you’ll need, there is plenty of room for parking and overnight accommodation for guests. 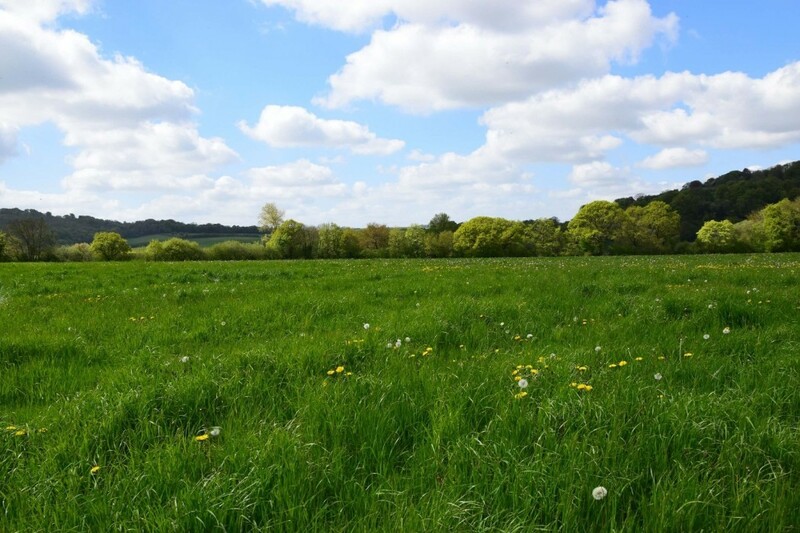 The venue is also in close proximity to the major towns and cities of Winchester, Portsmouth and Guildford.